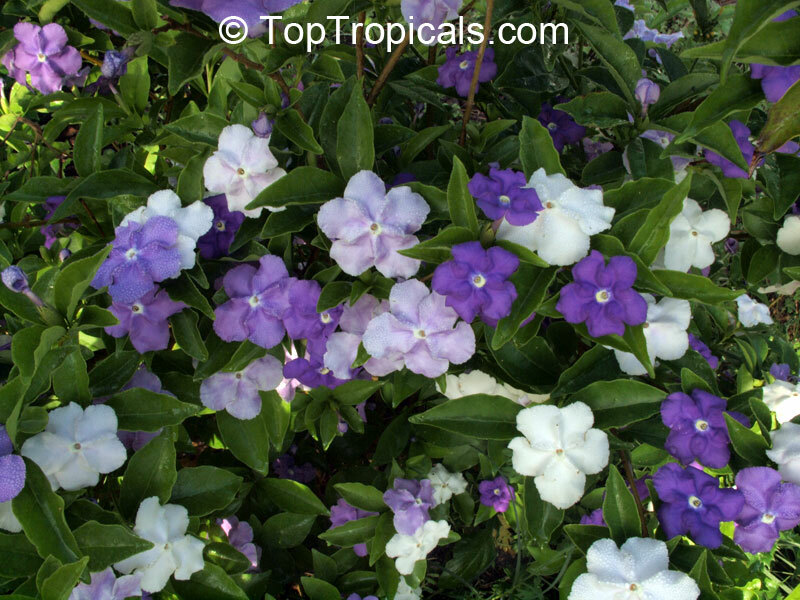 The fragrant flowers open purple, fade to lavender, then white. 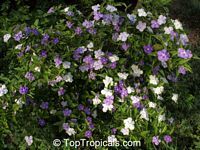 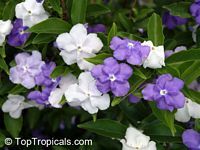 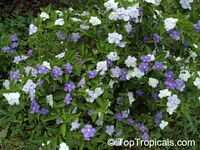 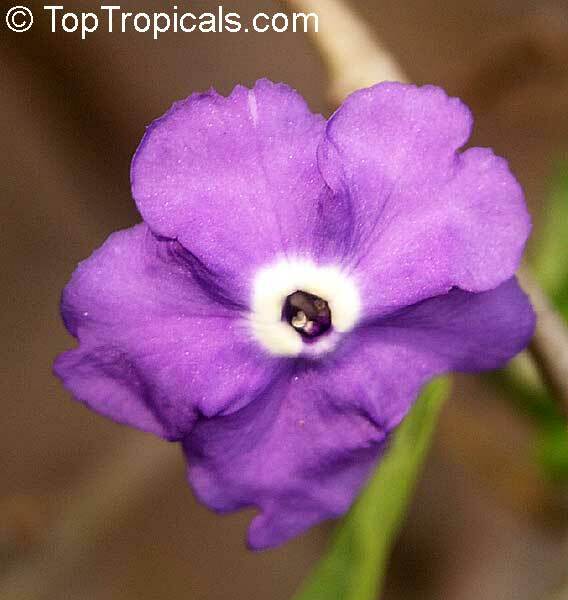 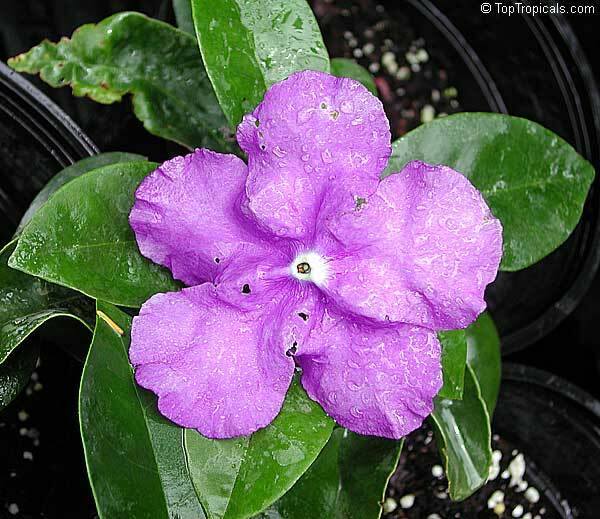 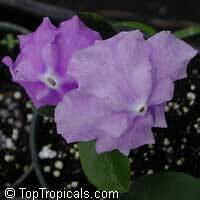 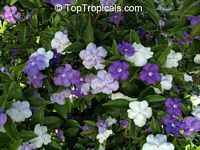 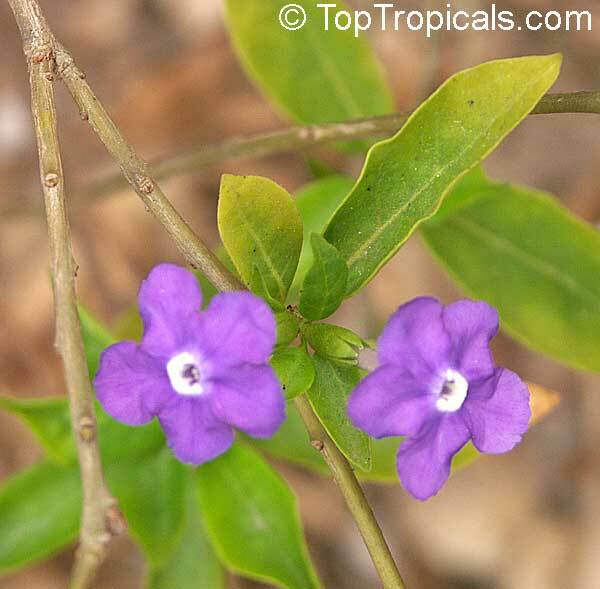 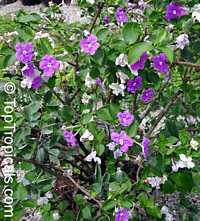 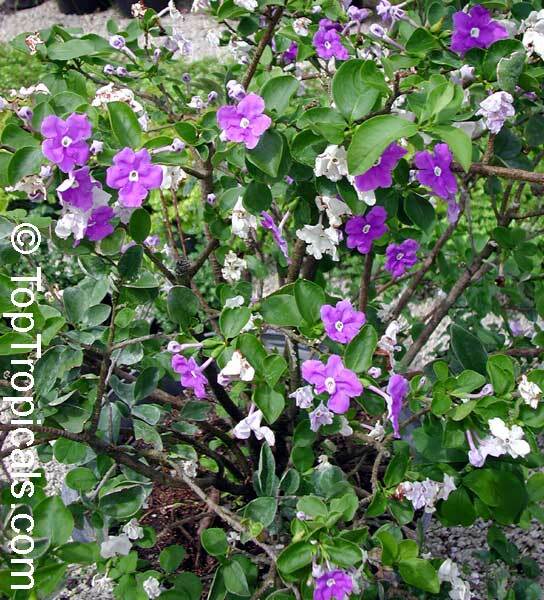 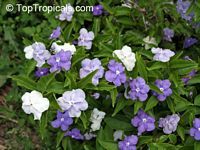 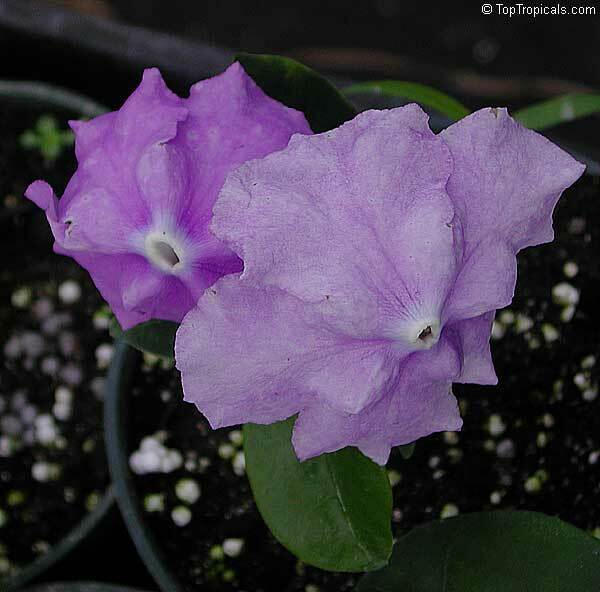 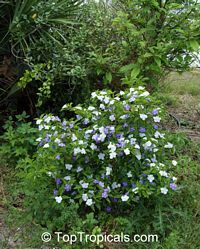 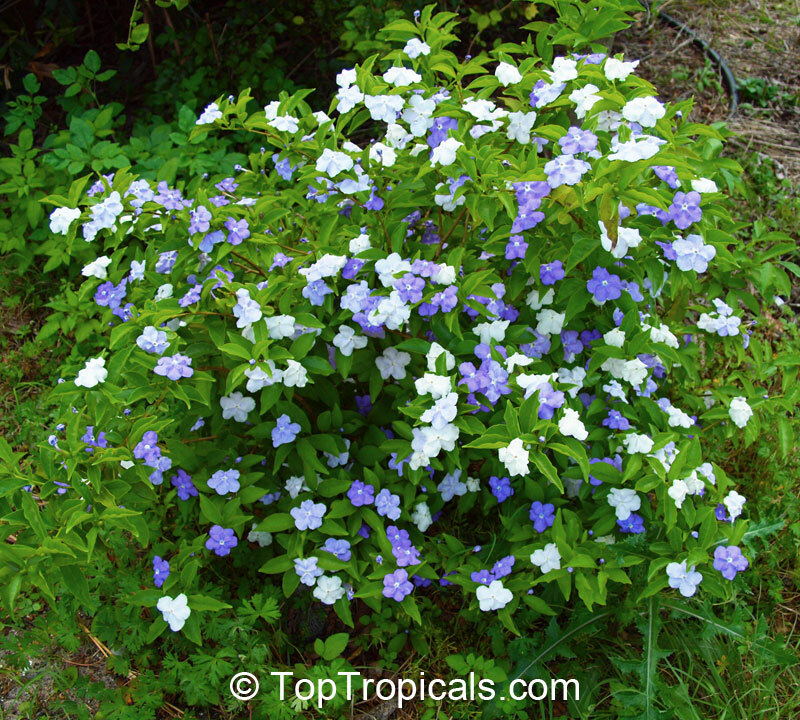 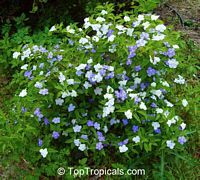 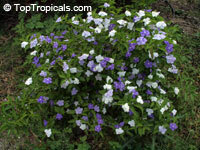 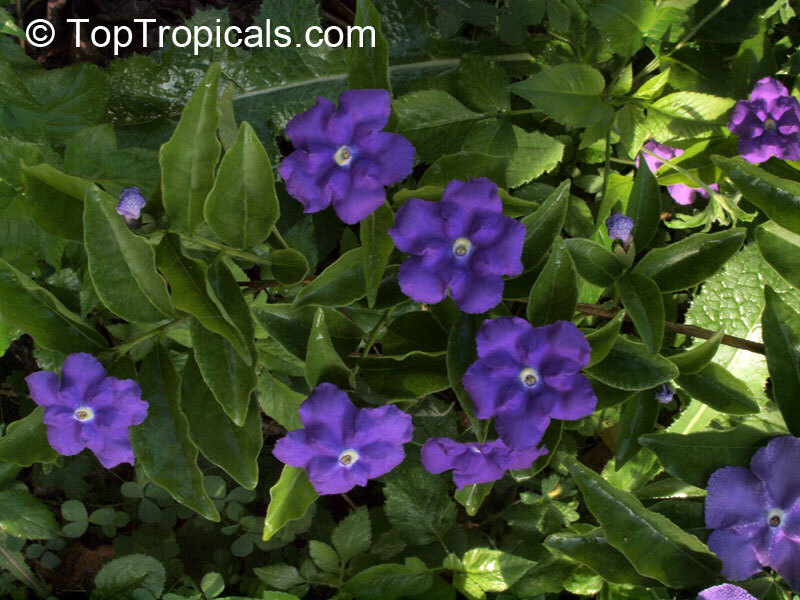 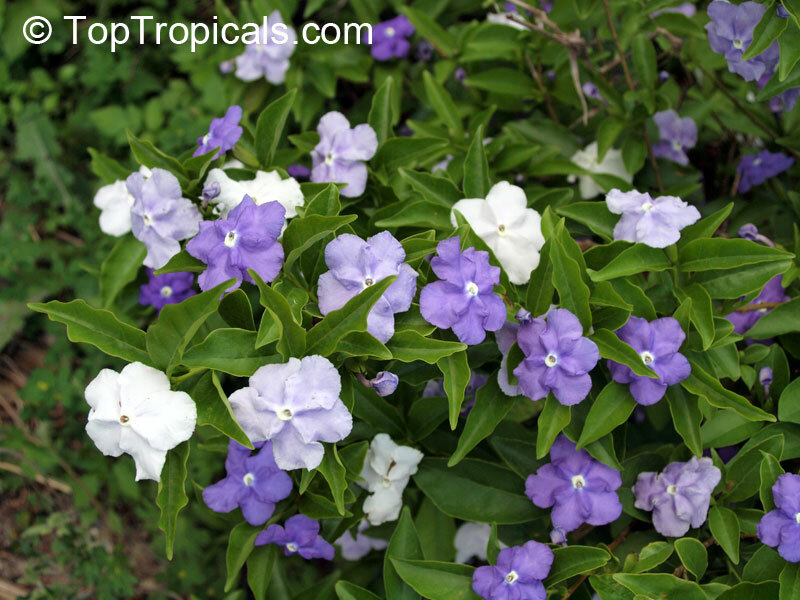 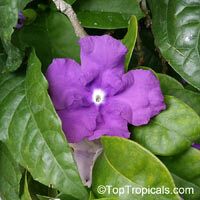 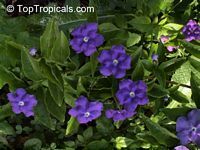 There are 42 known species of Brunfelsia ranging from shrubs to trees. 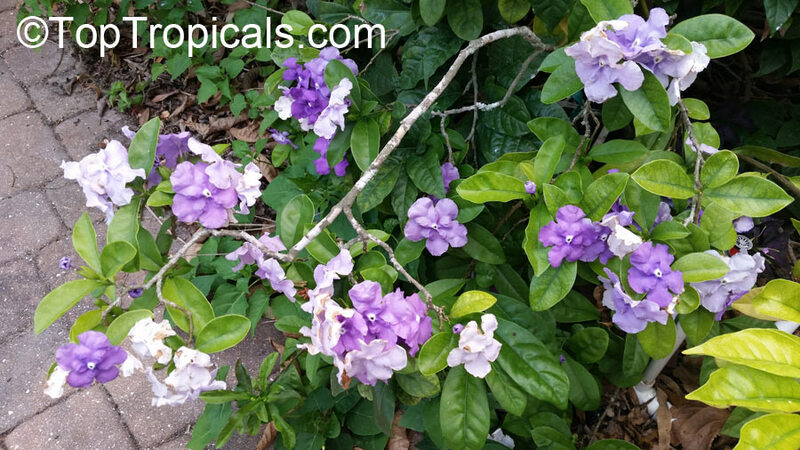 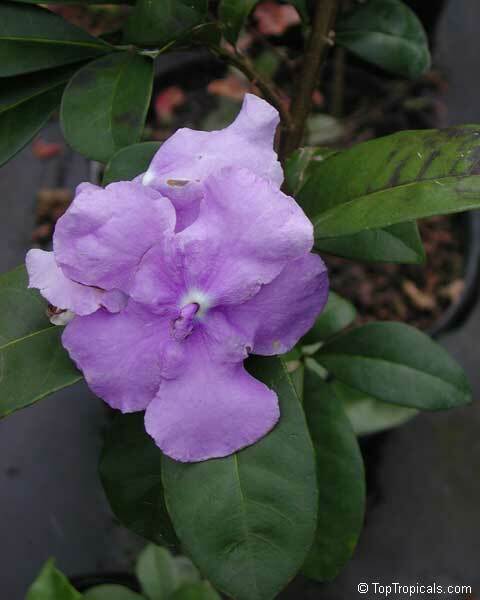 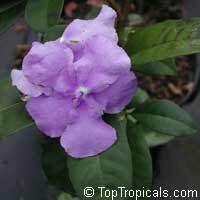 Brunfelsia are in the Solanaceae, the family rich in alkaloids. Dwarf variety of Yesterday-Today-and-Tomorrow. 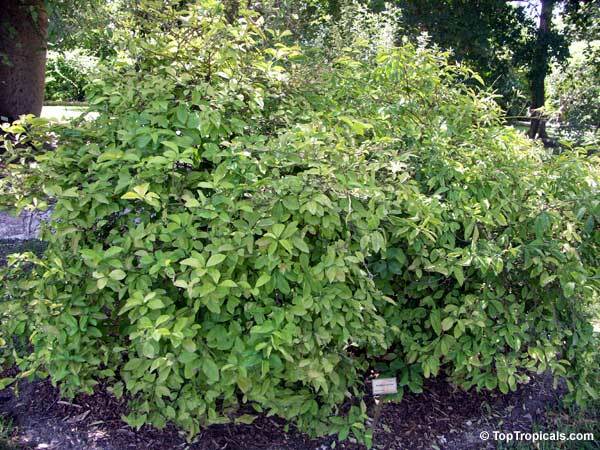 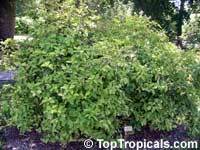 Very compact bushy shrub, 2-3 ft tall. 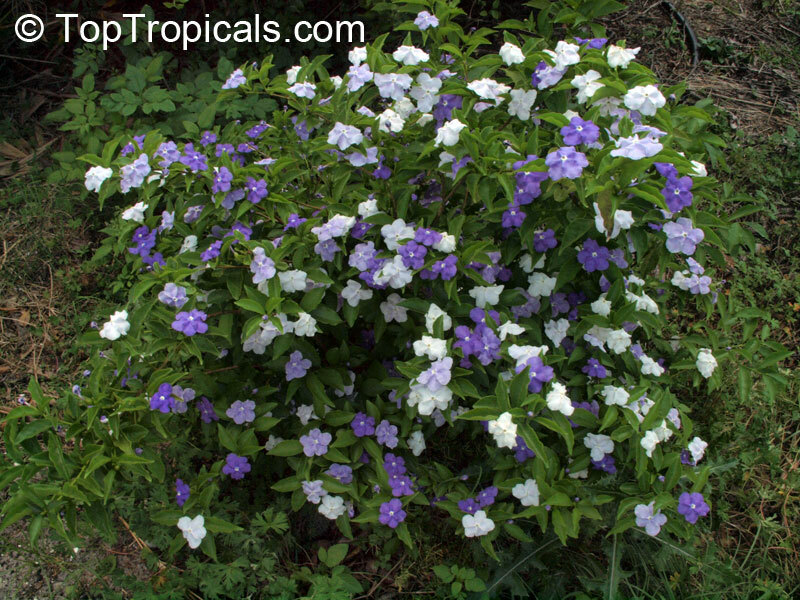 The fragrant flowers open purple, fade to lavender, then white. 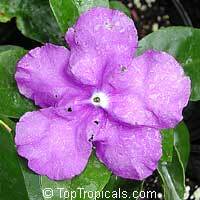 Very rare brunfelsia, collectable item.